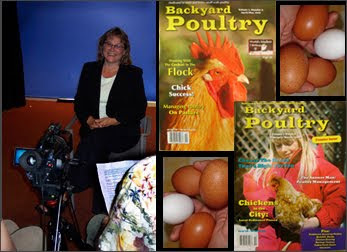 We had the great pleasure of interviewing Elaine Belanger, the editor of the periodical Backyard Poultry. She dropped by the studio in Madison today while on her way to the Illinois Renewable Energy Fair. We talked magazine biz, subscribers, circulation, and of course, chickens.